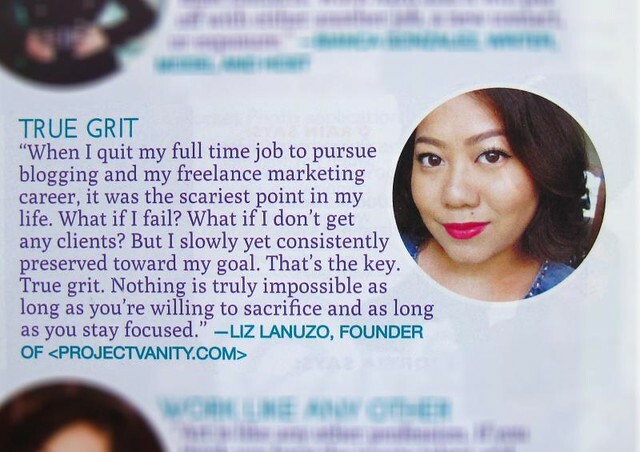 When I quit my first and only full-time job in 2010, I was scared out of my wits. I remember crying after my last day, wondering if I did the right thing. I'd be lying if I told you that I haven't considered job offers from head hunters in the last three years. Having a full-time job is just so...safe. Secure. Predictable. I don't have to worry about insurance. My salary would come on the dot. But that's not what I truly want. I want to have my own business, preferably doing something I genuinely enjoy. I love blogging and organizing events, creating a solid brand and voice for businesses. I can't do all that with a vanilla desk job. Well, maybe I can, but it would be slow-going and my focus would be split up. So I did what I had to do and I am where I want to be. On a related note - I'm not a famous person so every mention in a magazine is a big deal to me. 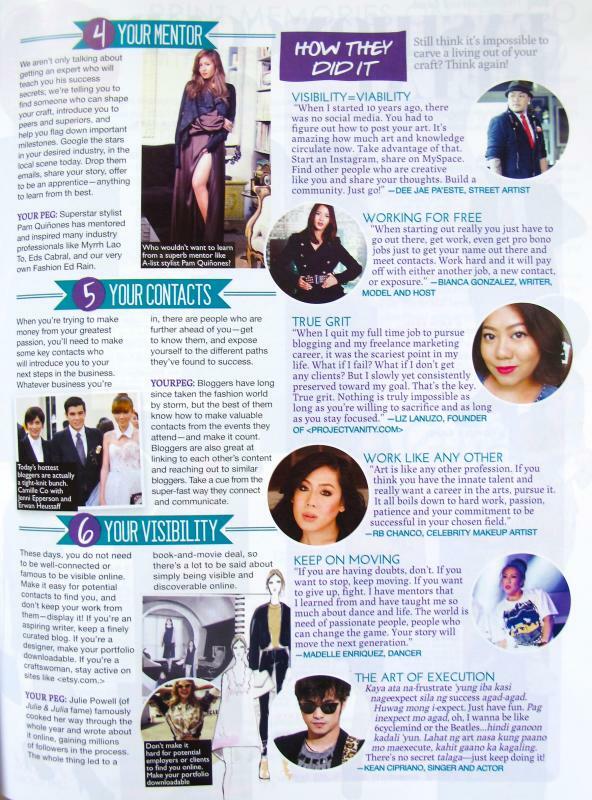 <3 Thanks Guia Galvez and Wyatt Ong for the awesome article! Everyone needs to read it, because who doesn't want to make a career out of what they love doing? These are solid tips, you guys!